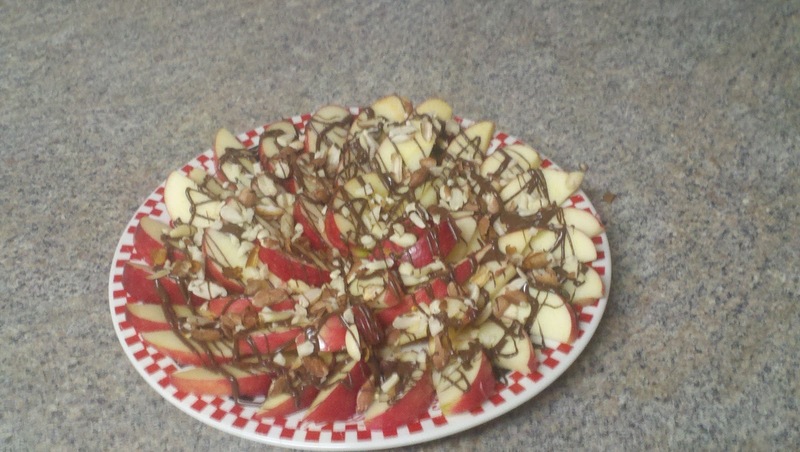 So on a Wednesday in January, I served sliced Honey Crisp apples (my personal fave might I add), with melted, drizzled milk chocolate and sprinkled with chopped Spanish nuts. 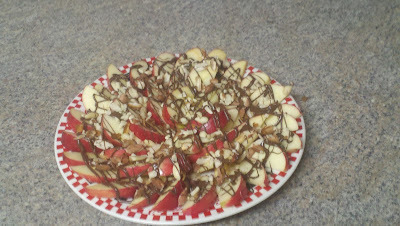 I suggest you get creative with your snack time. 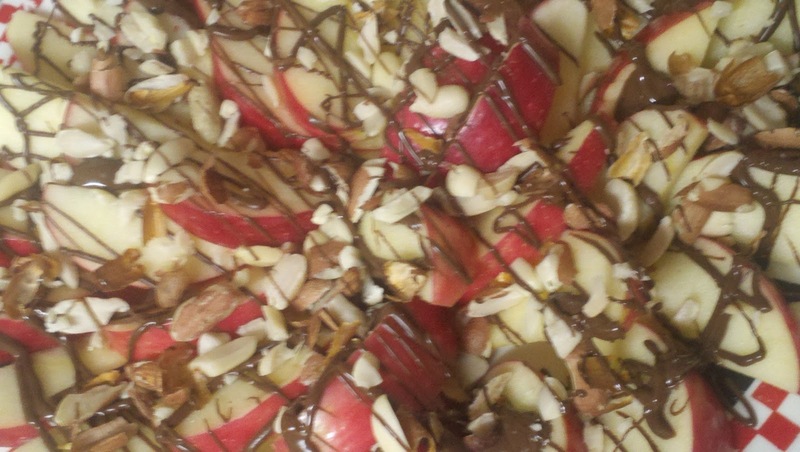 It surely makes eating healthy a real treat! Buon Appetito! I had a craving for S’mores so I made some for my son and I. I know the traditional ingredients to make one of these yummy treats is laden with ingredients I wish to avoid like high fructose corn syrup, artificial colors and hydrogenated oils/fats. 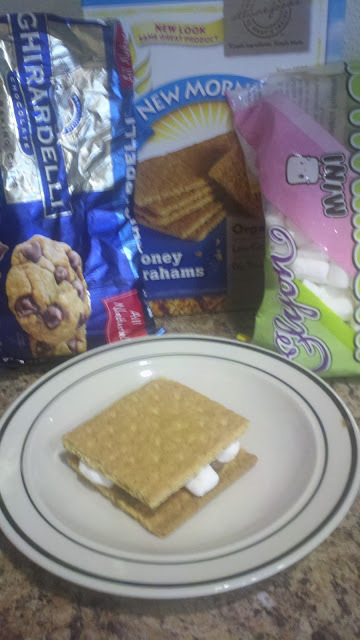 I picked up some New Morning Honey Grahams (USDA Organic) and a bag of Elyon natural vanilla mini-marshmallows (certified Kosher). I already had some Ghirardelli all natural milk chocolate chips at home. 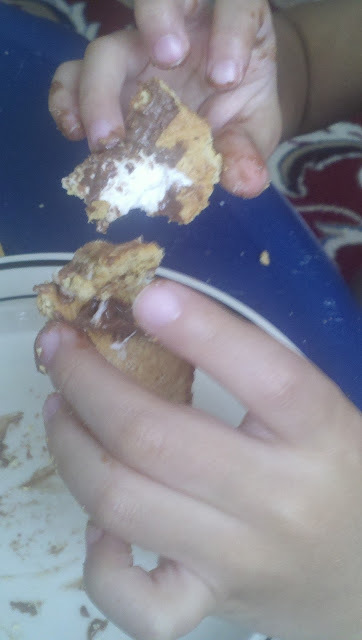 We put several chocolate chips on the bottom of one graham cracker and a few marshmallows and placed them in the microwave for about 15-25 seconds just until the marshmallows puffed up a little. We put the other half of the cracker on top, smash it down gently and let it cool for about a half of a minute before we dug in. I know this is not the healthiest dish but you can still enjoy the treats from your childhood without sacrificing flavor. Choose products without high fructose corn syrup, artificial colors, hydrogenated oils/fats or artificial sweeteners. It would be an awesome experience if I could go back in time and read the labels of these same products 20 years ago to see if they included 'shelf extender' ingredients in them. Always read labels - not just the package details. Right before my son fell asleep in my arms he asked me, “where is my necklace?” I felt for it on his neck and it was not there. Some panic hit when I thought he misplaced it at his new school and that it was sitting in the field the children play in every afternoon. I thought to myself, wait, just wait! It’s probably in the car. It has a screw clasp and has ‘fallen’ off a few times before (not really, it just works itself off with normal wear). I asked my son what happened to his necklace. He said he lost it at school. I said we’ll call and find out in the morning. After he went to bed, I searched all the places he was in since we arrived and before he went to bed. Nothing. Not in the car. Nowhere! Hmm. I emailed his teacher and hoped for the best. The next morning she had responded and said she forgot to mention that he had taken it off and didn’t want to wear it. Whew! Why is this necklace so important?! Because I sincerely thought my son had worn it nearly every day since April 2009 (or at the age of 7 months) but as I looked for some pictures to share I found that I am sadly mistaken. How I forgot that he didn’t sprout his first tooth until Mother’s Day of 2009 and the next tooth exactly one month later. The third and fourth teeth came within the next couple of months. You think you’re going to remember everything (or at least all the dates you hold dear to your heart, but you’re not!) So, we made it through the rest of 2009 without too many teething pain issues. At the end of the year, he started to cut more teeth and many at once. I had learned about Boiron’s teething liquid and Hyland’s teething tablets to naturally treat teething pain in babies and had been using these resources since he cut his first tooth. I wanted something stronger but it had to be natural. My friend told me about Baltic Amber “teething” necklaces. I purchased one from Inspired by Finn. The necklace that we have is found on the preceding link. The necklace helped soothe him during the worst parts of teething and helped him sleep through the nights. Here are some pictures of him wearing it in January 2010 – he was 16 months old and the most recent two years later in January 2012 at 40 months old. 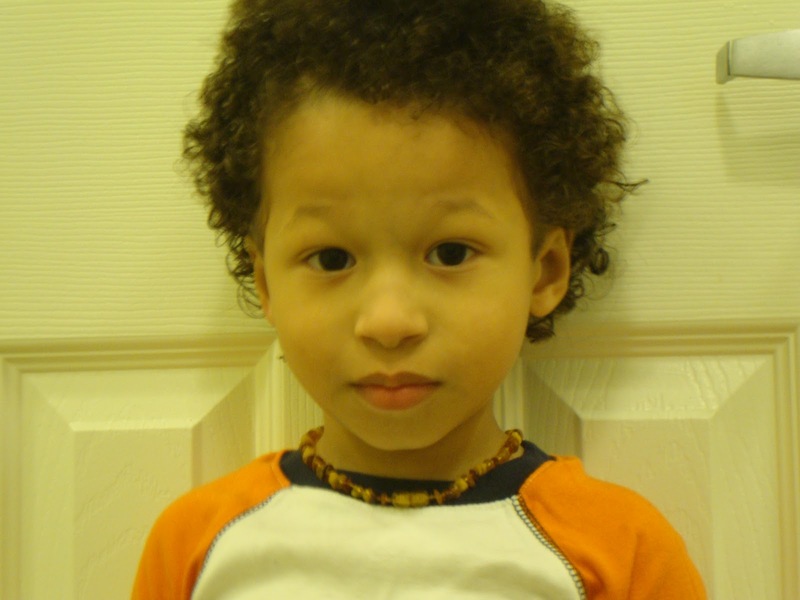 So, to conclude, the next day at school, I saw his necklace in his cubby. I asked him if he wanted to wear it and he said yes. Later on I asked him if he was ready to have me put it away and he said no. Though he doesn’t need the amber necklace anymore, people say it has become his signature mark. A few stones have fallen off but for the most part it still looks like it did when we first purchased it. It is high quality and the stones are individually knotted. When he’s ready to stop wearing it, I will put it away in his keepsakes box. Until then he can wear it as long as he wishes. I think it looks nice on him!